There are many areas of home where you can’t install a traditional fireplace with artistically carved mantel. So, portable fireplace come handy to bring warmth in those areas of home. As the name makes it clear, you can carry this fireplace easily. Today, I would like to describe some advantages that a portable fireplace brings for you. 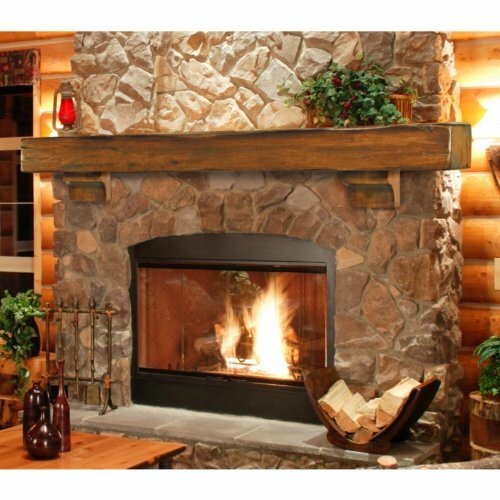 You are able to find this fireplace in a wide variety of colors and designs option. Glass and wood based designs are becoming really popular. Oak, pine, reclaimed wood or pallet boards are often used to make a base. Stainless Steel and metal portable fireplaces are also available but they cost a little high than glass and wood designs. No matter where you put this fireplace, it would enhance the visual appeal of the surrounding. A traditional fireplace is usually set in the middle of the room and its installation is time consuming. This is not the case with portable indoor wood fireplace. You can place it where you want like in the corner of the room, on the table top, right over your coffee table. The reason is that it is safe to place everywhere. In a traditional fireplace, wood is the fuel for fire. However, this is not the case with a portable fireplace which relies on bio fuel. This heating unit works with bio ethanol. This fuel is made of vegetable material such as wheat, maize or corn. When this fuel burn then safe levels of carbon dioxide, steam, heat and water are emitted in the environment. This fuel burns clean and therefore no chimney or flue is required to expel gases out. In case you don’t want a bio fuel kind , you have an option to get small electric fireplace heater that brings the same features. When you have indoor portable heating unit then you will feel it easy to move it anywhere you need the heat. Turning the heat on is so simple. All you have to do is to press a button. There is no need to use a newspaper to begin fire like you do with a classic fireplace all the time. Table top fireplace designs ideas. Small electric fireplace heater place on table.